I fell in love with The Nutcracker ballet many years ago and made it a tradition to see it when it was presented in an area close to our home. But even if I can't see it in person I catch one on TV to watch. 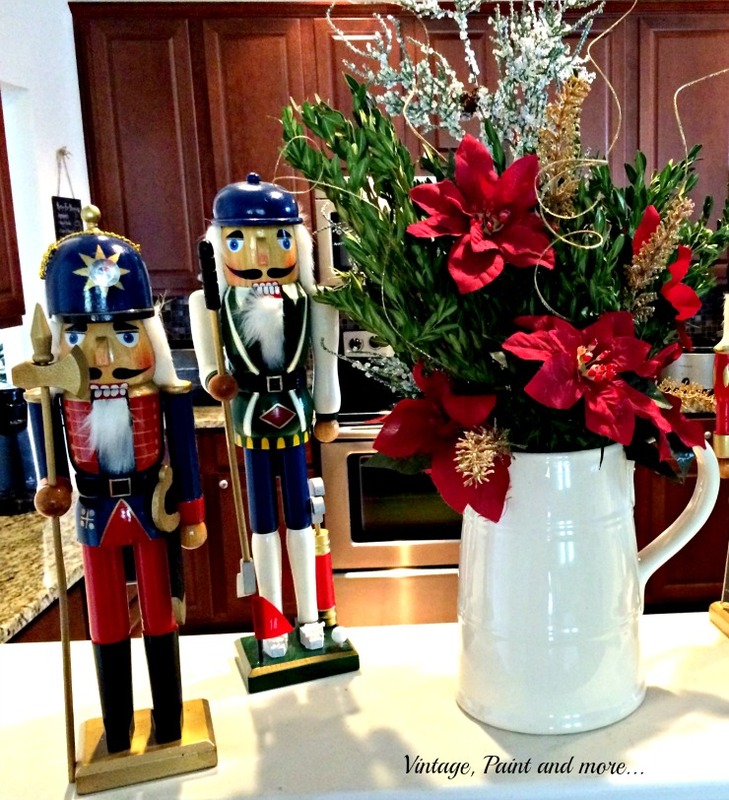 I totally fell in love with the Nutcracker itself after seeing it and had to have one of my very own. 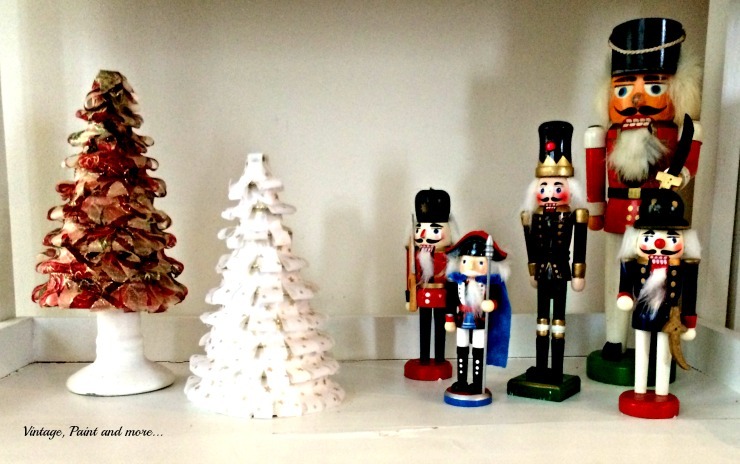 My very first Nutcracker can be seen above - it is the tall red one standing in the back. 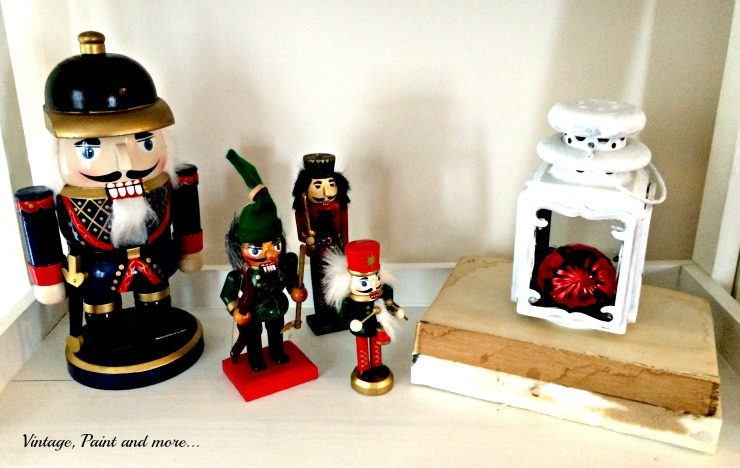 Soon after Papa became very enthralled with that Nutcracker and began his very own collection of them. 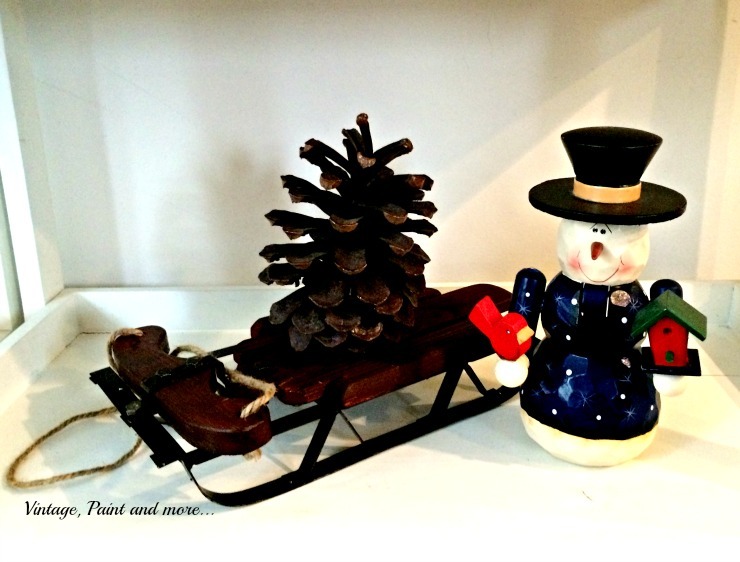 So for 20+ years he has been adding a new Nutcracker to "his" collection each year. All of our grandchildren are mesmerized and in love with this collection and have picked their own favorites. 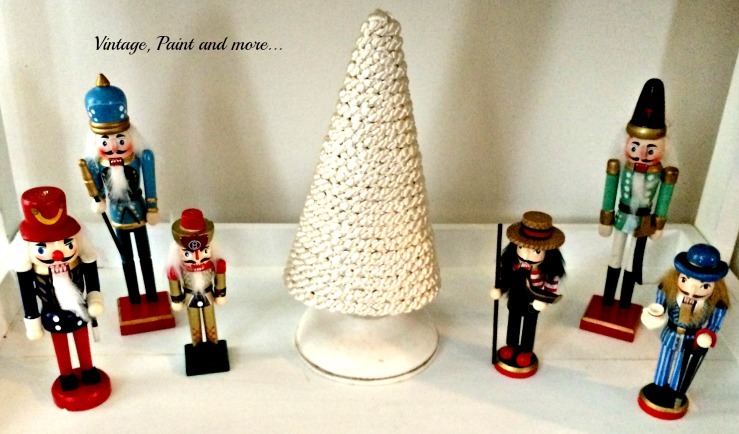 Each year they look for "their" Nutcracker to make sure he is out with the rest of the decorations. One year I didn't set them out and everyone was disappointed. 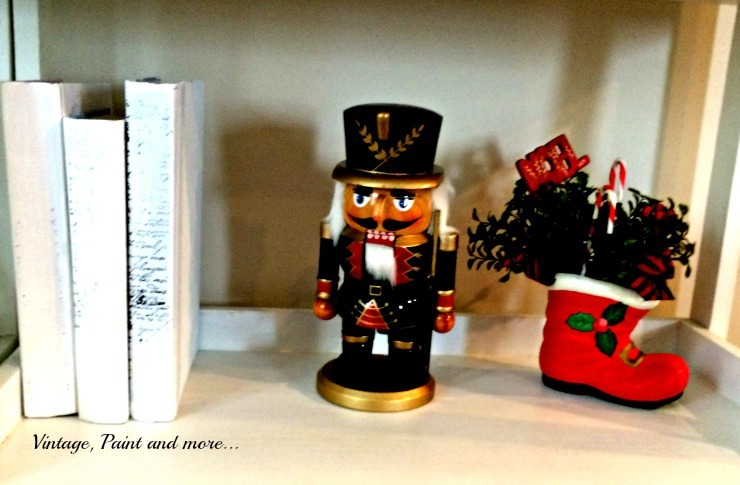 So if nothing else gets decorated the Nutcracker collection has to be put out. 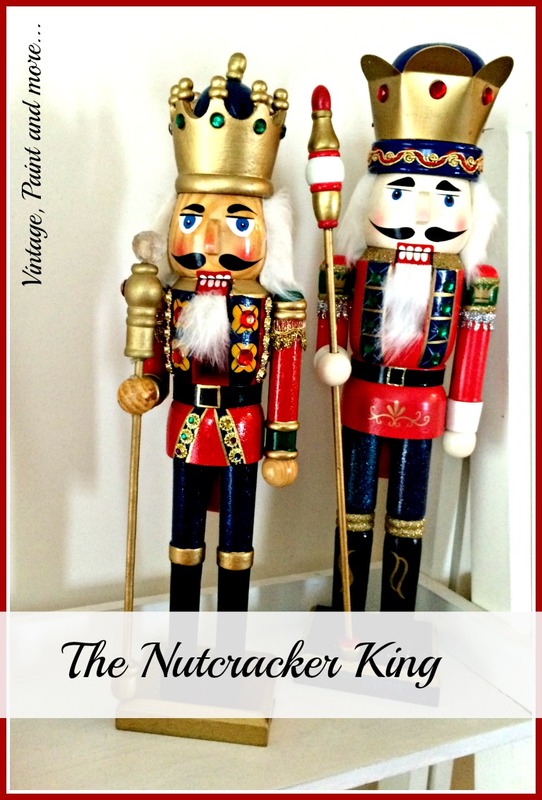 The favorites tend to be the traditional Nutcracker that is dressed in his "military" uniform. Whether it be blue, red, white or black and all his finery with gold cording, bright colors and glitter - lots of glitter for some. or the golf one dressed in green above. Still they all have to make their appearance. 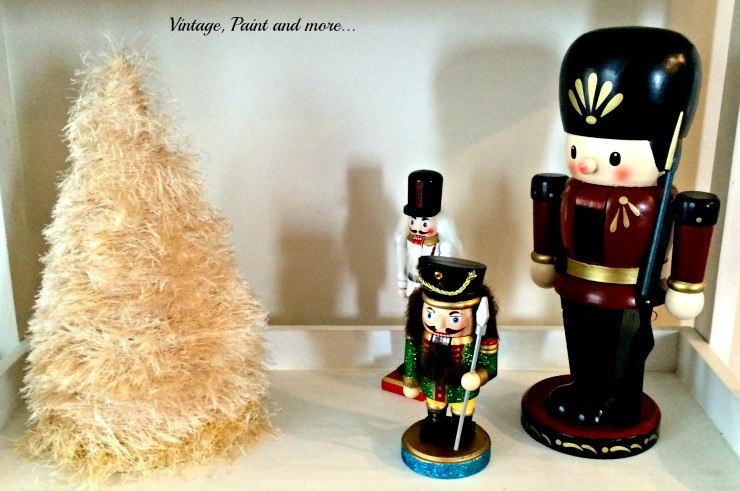 Does your family have a beloved collection that has to be part of your decor or it just wouldn't be Christmas? We have a couple and I'll show you the other one next week. Tell me about your collection in the comments below. I answer all comments through email. So, until next time have fun creating something you love. I will be joining the link parties listed on the Where I Party page above. Please go and visit them. I am sure you will be inspired by all the great creativity you will find there. I love the Nutcracker. I first saw a live performance in college when a Russian ballet actually came to my university. I was head over heels. I love ballet anyway, but I really love The Nutcracker. 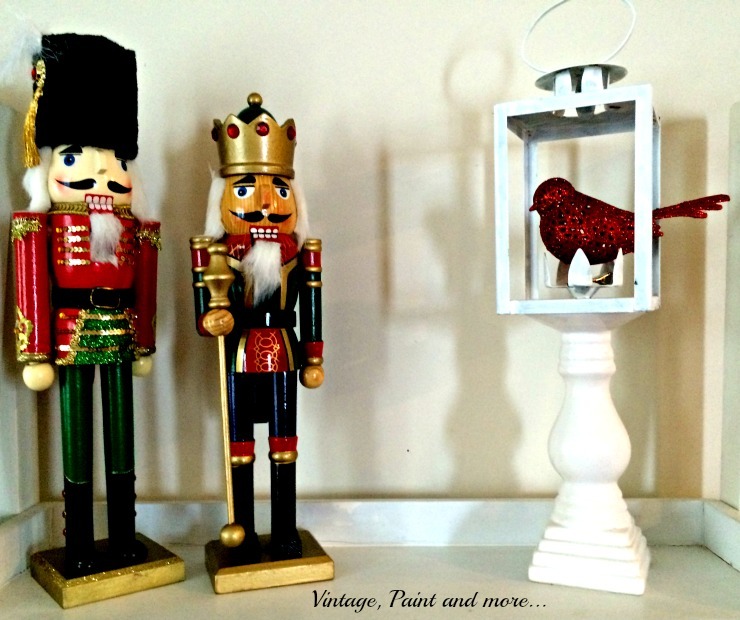 Whenever I see a nutcracker I am taken back to childhood, when we watched the film "The Steadfast Tin Soldier" a Hans Christian Anderson tale about a tin soldier who fell in love with a paper doll. That film was my introduction to what a nutcracker was. The one in the film was mean, and grumpy, and I have ever since imagined nutcrackers as grumpy. Are yours nice, or are they grumpy too? 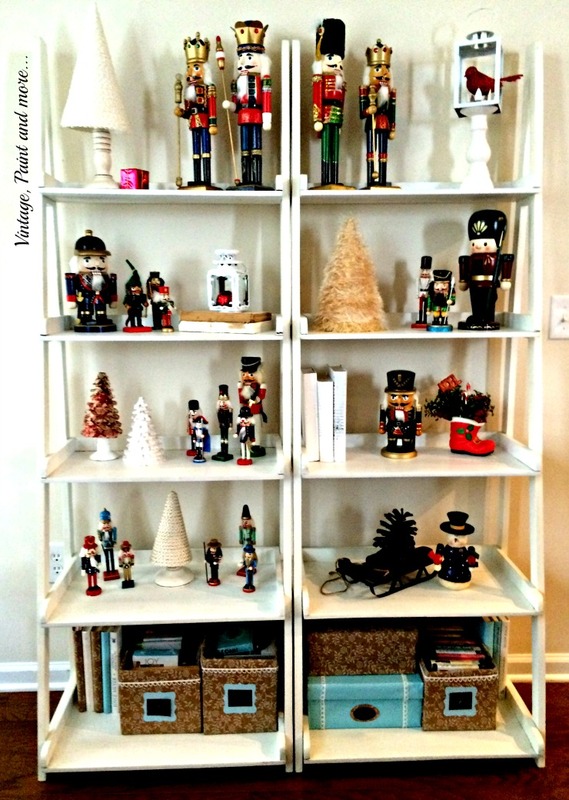 I love your Nutcracker collection, Cathy! My daughter has about 30 or more from all of the years she has danced in the Nutcracker ballet (for the past 13 years.) I have a special place in my heart for them too. Merry Christmas!